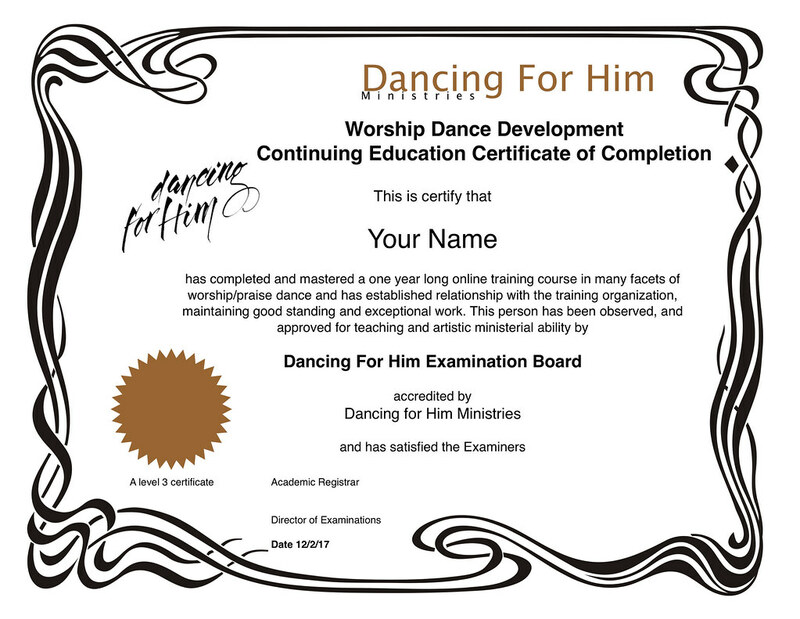 LEVEL 3 - WORSHIP DANCE DEVELOPMENT - CONTINUING EDUCATION COURSE - Upon successful completion, you will receive a Worship Dance Continuing Education Certificate. Level 3 may be done anytime after Level 2 completion. LEVEL 4 - DANCE MINISTRY MASTER COURSE - Upon successful completion, you will receive a Dance Ministry Master Certificate of License. You must complete Level 3 before going on to Level 4 (no matter what other experience or training you may have had). Level 4 must be done immediately after Level 3 completion. Both years must be done successively. This course is a continuation of Level 3. Each course goes from January 10 - October 24th. If you register for both L3 and L4, and assuming you successfully complete Level 3 by October 24th, you'll be given access to the L4 program on or before the following January 10th. School is closed for tweaks and updates from October 25th-January 9th. Tuition is due no later than December 31st. On or around January 10th, after you are fully registered, we will begin a folder for you and keep track of your progress and send you the new course outline. Thank you for embarking on a wonderful journey into the realm of worship dance. May the blessings of the Lord overtake you! Simply enter 1 in the quantity box. You'll then be taken to screens requesting your name and address and credit card information, etc. Put ‘Yes’ in the waiver agreement box at the top of this page. 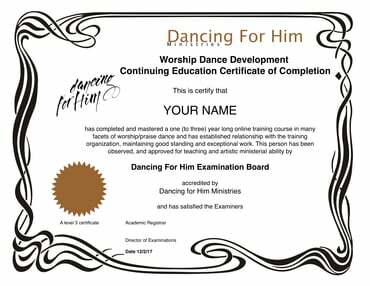 Your selection of ‘Yes’ in the drop down list indicates that you will have read and agreed to the waiver before attending/joining the Dancing For Him Ministries (from here on known as DFH) school/conference/intensive/CEI or any program associated with DFH. Simply put, selecting ‘Yes’ is your electronic signature. Please read the waiver below. In consideration of participation in this dance program and instruction, I/we the undersigned (electronic registrant) intend to be legally bound, here by for myself and anyone acting on my behalf, as well as all others from whom I am registering (if any), all those participating with me in any assignments/practice, etc., release all claims for damages I/we may have against Dancing For Him Ministries, Inc., Lynn Hayden and their sponsors, representatives, successors, and assigns for any and all injuries or death suffered by me/us in this program. I/we attest and verify that I/we know participation in this program/event can be a potentially hazardous activity. However, I/we have sufficiently prepared for this course/event, understand the necessity of proper warming of the muscles before activity, and know that I/we am/are participating at my/our own risk. The waiver extends for the duration of the program dates there which are listed on the school information pages. I also release DFH use of any photographs, written material or video footage of me/us. I/we have read and understand this waiver of liability, and agree to the same, by selecting ‘Yes’ in the appropriate place on this page.